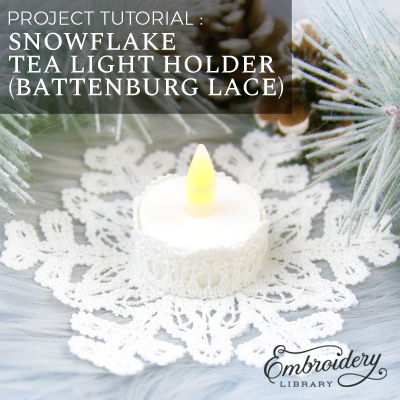 Even in the midst of winter, create a warm glow with this snowflake tea light holder! 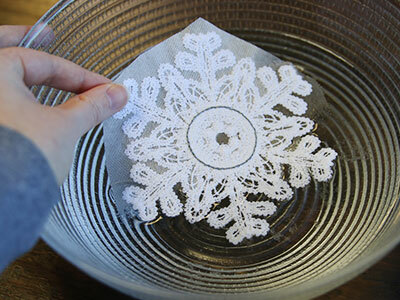 Just stitch each freestanding lace piece in cotton thread on water-soluble stabilizer, then rinse, dry, and assemble. We'll show you how! 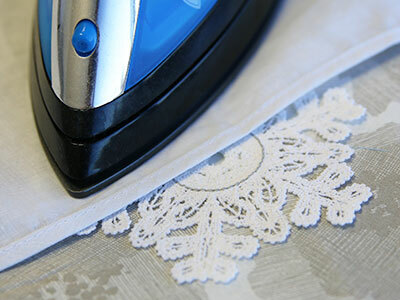 Freestanding lace designs have been specifically digitized for water-soluble stabilizer. 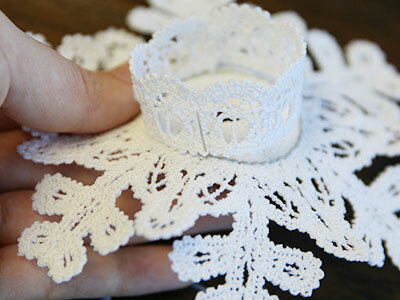 After the stabilizer is removed, beautiful lace remains. 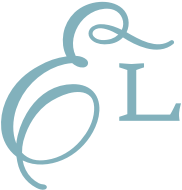 This design has been digitized for 30-35 weight cotton thread. 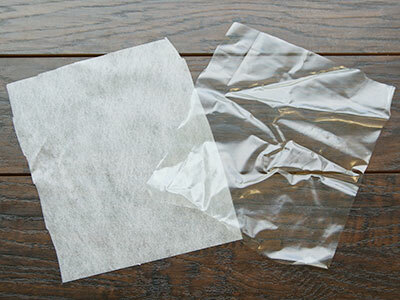 It can be found under different names such as mercerized cotton or all-purpose cotton. 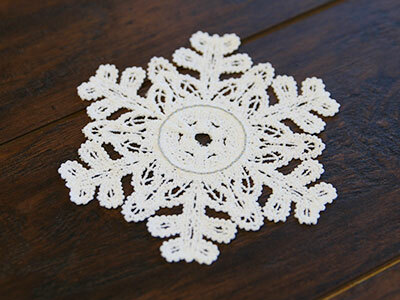 This design has two colors, so two different matching bobbins will be used. 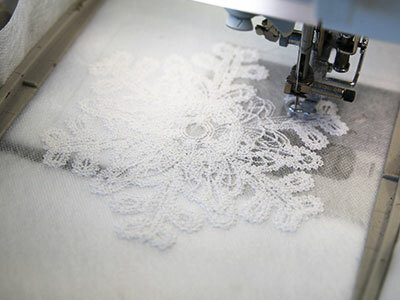 Place the matching bobbin into the machine, and load the first embroidery file for the doily (file "a"). 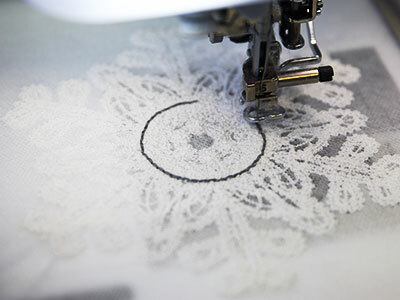 Begin to embroider the design. 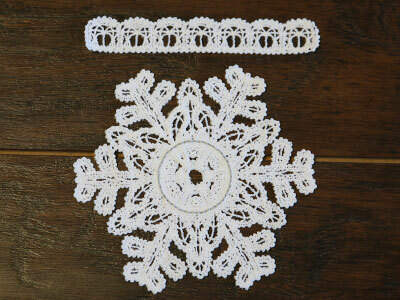 The first thing to sew will be the main color of the doily. 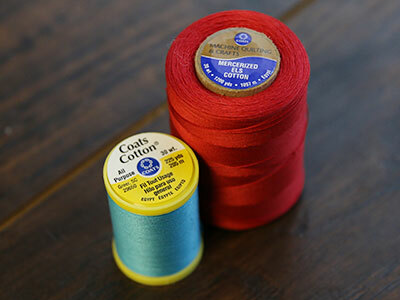 Then change out the bobbin again, and sew the second color. This will embroider the "decorative placement border" which will help with placement later on, and will eventually be covered up by the battery powered candle. 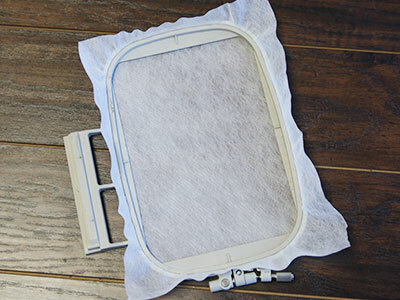 After the design is finished embroidering, trim away the excess stabilizer. 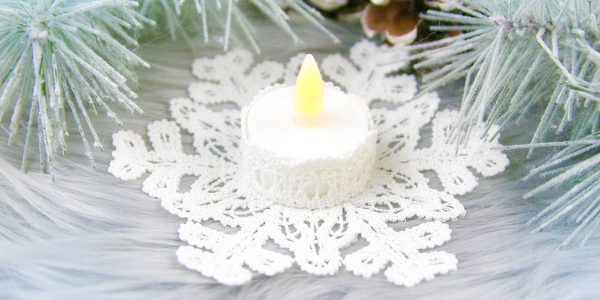 Repeat the steps above to embroider, soak, and press the candle wrap piece (file "b"). Then take the candle wrap, and match up the two short ends to make it into a loop. 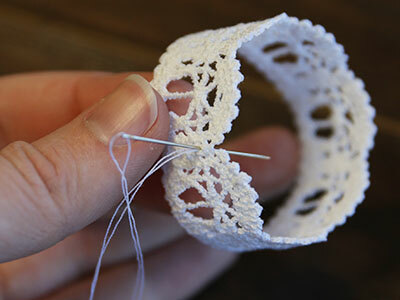 To be the correct size, the two ends need to overlap 1/8" or less. 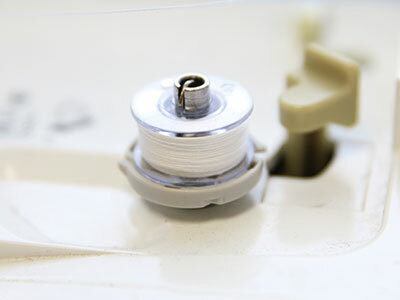 Make sure the right side is facing out, and sew the ends together with a hand sewing needle and thread. 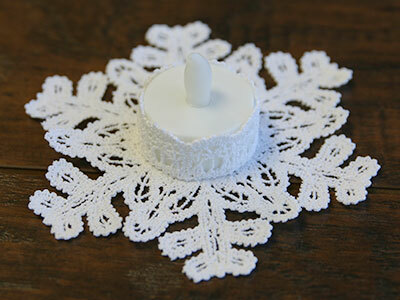 Then line up the bottom edge of the candle wrap with the outer edge of the sewn "decorative placement border". This way the border will be hidden inside of the loop and under the tea light. Hand sew the candle wrap in place along the bottom edge. 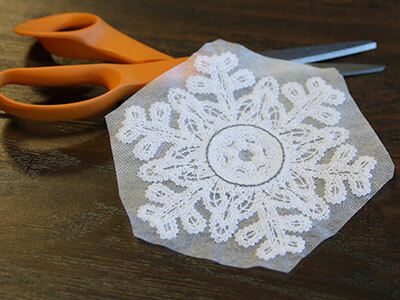 Stitching every other small scallop to the doily base will hold it in place securely. Place a battery powered tea light inside of the wrap to finish this as a beautiful gift or piece of decor.